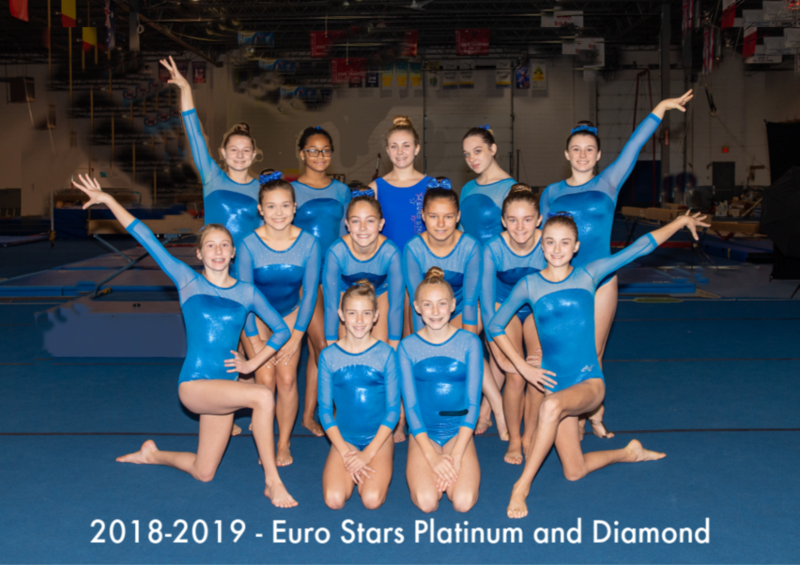 Euro Stars Gymnastics understands that the USAG JO program requires a lot of investment by the gymnast and family so readily offers the USAG XCEL gymnastics program as an option for continuing in competitive gymnastics, while not having to make as large of a commitment to gymnastics. We value and honor all of our gymnasts and have a successful XCEL gymnastics program, headed by program director Carylyn Baase. If you are interested in learning more about our programs, please let us know. Our USAG Platinum and Diamond XCEL groups train approximately 12 hours per week. Girls train year -round, with those who are invited or are placed on the team beginning the new training season in July. The competitions take place usually from December – May each year. Girls are invited to participate in 6-10 meets each year, but are only required to participate in two to three meets, plus states and regionals, if they qualify. One meet may be a travel meet. USAG Bronze XCEL trains approximately 6 hours per week. Girls train year -round, with those who are invited or are placed on the team beginning the new training season in July. The competitions take place usually from December – May each year. Girls are invited to participate in 6 local meets each year, but are only required to participate in two to three meets, plus states if they qualify. USAG Silver XCEL trains approximately 6-8 hours per week. Girls train year -round, with those who are invited or are placed on the team beginning the new training season in July. The competitions take place usually from December – May each year. Girls are invited to participate in 6-10 meets each year, but are only required to participate in two to three meets, plus states and regionals, if they qualify. One meet may be a travel meet. USAG Gold XCEL trains approximately 12 hours per week. Girls train year -round, with those who are invited or are placed on the team beginning the new training season in July. The competitions take place usually from December – May each year. Girls are invited to participate in 6-10 meets each year, but are only required to participate in two to three meets, plus states and regionals, if they qualify. One meet may be a travel meet. 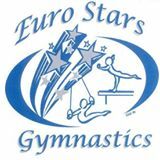 Euro Stars Gymnastics XCEL consists of Gymnasts who compete in levels Bronze (fun meet), Silver, Gold, Platinum and Diamond. They compete in local meets through out lower Michigan, and sometimes in neighboring states. Regional meets, for those who qualify, may be in any place within Region 5.